Healthy, beautiful skin requires a daily commitment. The products used to cleanse, tone and nourish make all the difference in preserving that youthful glow. The Spa in Saxonburg works to bring you the best medical grade products on the market for skin care to ensure you look your best now and far into the future. Our consultants will develop a skin care regiment to address your skin’s daily needs and recommend any corrective or preventative treatment based on your lifestyle and unique skin profile. While our brands may look familiar, we carry the top of the line that can only be bought by licensed medical professionals. Nu-Derm is the #1 physician-dispensed skin care system, clinically proven to help reduce the signs of skin aging. It is specially formulated for all skin types to restore beautiful, healthy-looking skin. 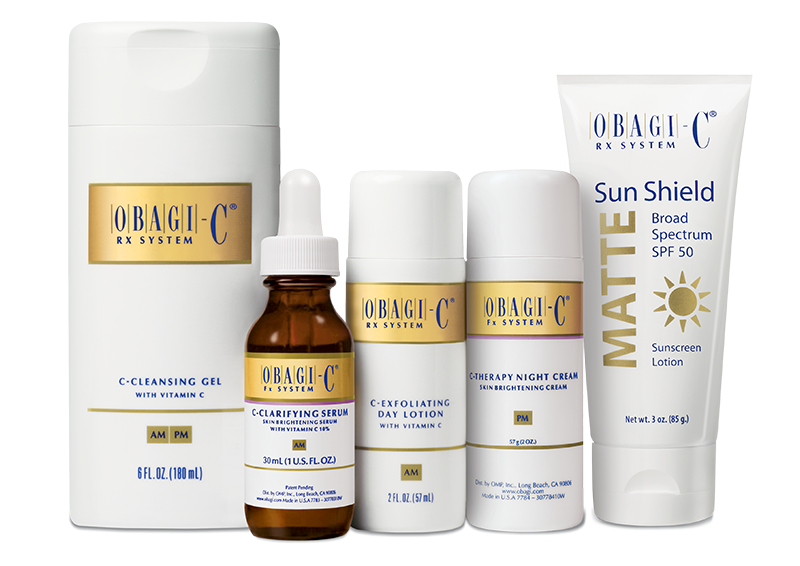 Obagi-C® combats early signs of skin aging with powerful Vitamin-C protection. 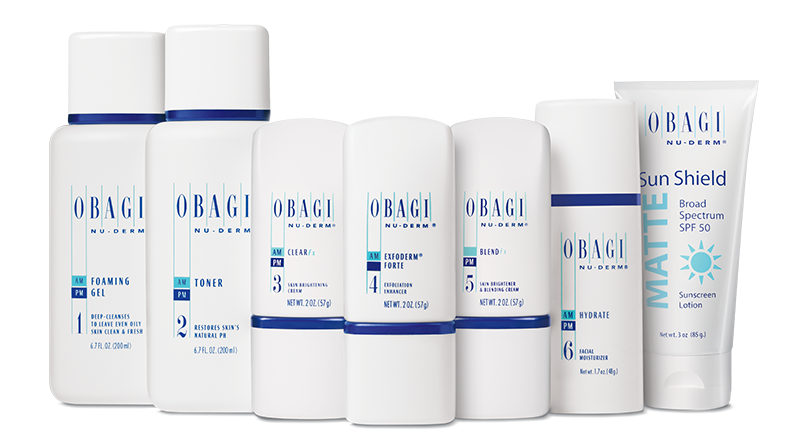 The Obagi-C® Rx Systems offer early intervention skin care to proactively address the emerging signs of skin damage. Obagi Gentle Rejuvenation® combines natural plant-derived growth factors Kinetin and Zeatin to gently rejuvenate the skin’s appearance. This system’s ingredients also address concerns related to dry and sensitive skin. HydraFacial MD® brings the benefits of a HydraFacial to your skin care routine. Delivering antioxidants, hyaluronic acid and peptides to keep your skin looking its absolute best. Glo Minerals is recommended by dermatologists, plastic surgeons and licensed skincare professionals. The advanced formulations are comprised of pharmaceutical-grade ingredients, natural high-pigment minerals, nourishing vitamins and powerful antioxidants to deliver radiant beauty and healthy, glowing skin. Rich and extensive color palettes offer shades for every skin tone and formulas for every skin type. The anti-inflammatory ingredients in Glo Minerals are the best way to protect your skin and still achieve your ideal beauty look.